Adults, as a dietary supplement, take two scoops 30 minutes prior to training and one scoop after training. On non-training days, take one scoop with breakfast and one scoop with lunch. Mix two scoops with eight ounces of water for best taste. Consult a medical doctor before taking this or any other nutritional supplement if you are pregnant, nursing, have or suspect a medical condition or are taking any medications. Beta Alanine has been reported to cause occasional tingling and/or flushing. If you feel you are suffering an adverse reaction, immediately discontinue taking this product and consult a medical doctor. A double blind, placebo controlled study by Dr. Ormsbee involving members of a Florida State University athletic team revealed that the athletes taking T+ improved overall max weight lifted over a 4 week supplementation period 36% faster than placebo. Statistically significant improvements were shown in bench press, and overall weight lifted in the combination of squat, deadlift, and bench press. Synthetic compounds can be effective for the short term. But the body as a biological machine evolved to process food-sourced nutrients, and so the closer we are able to stick to the blueprints, the more holistic the performance optimization will be. T+ breaks the mould on pre-workout formulas, steering clear of the chemicals and stimulants that flood the market with quick pumps and highs. Our ingredients like Longjack, Beta-Alanine, and Luteolin are easily recognized and utilized by the body. The old era of performance supplementation is fading, and athletes who utilize an Earth grown nutrient approach are seizing the opportunity for greater performance and long term performance sustainability. Longjack is a flowering plant native to Indonesia and Malaysia that is referred to as “bitter charm”. Quassinoids are the biologically active component that is commonly used in these countries as food and drink additives, specifically for coffee and energy drinks. Longjack has been shown to help support testosterone levels in aging males*. Beta-alanine is a non-essential amino acid found naturally in foods such as chicken, beef, pork and fish. 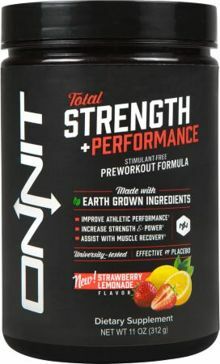 Beta-alanine helps maintain an optimal pH level in the blood, helping the body to buffer lactic acid more efficiently *. Beta-alanine is the rate-limiting precursor for carnosine synthesis, an important peptide highly concentrated in skeletal muscle. Elevating muscle carnosine with beta-alanine supplementation is hypothesized to enhance the contractility of muscles through increasing buffering capacity*. Found naturally in celery, lemons, peppermint, oregano and a handful of other herbs, this citrus bioflavonoid acts as an antioxidant. Known in Chinese traditional medicine for centuries, luteolin has been shown to support optimal natural testosterone production*. Not only is T+ certified to contain no banned substances by one of the top testing facilities in the world (BSCG), clinical trials on active NCAA powerlifting competitors indicated no negative results for athletes, including those subjected to testosterone profiling.